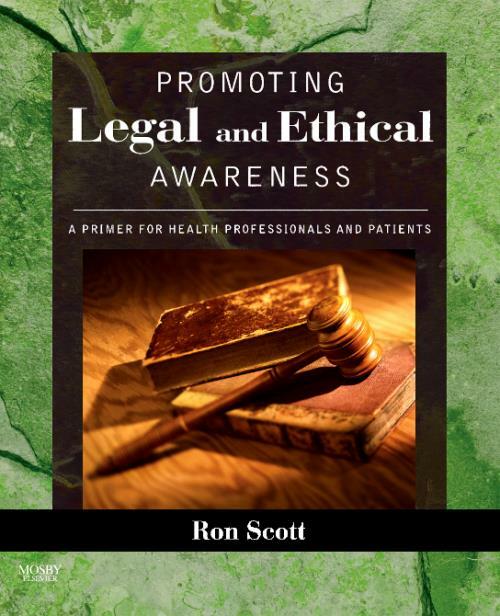 Combining the best of author Ron Scott's books, Promoting Legal Awareness in Physical and Occupational Therapy and Professional Ethics: A Guide for Rehabilitation Professionals, his newest text Promoting Legal and Ethical Awareness: A Primer for Health Professionals and Patients includes the latest case, regulatory, and statutory law. This valuable ethical and legal resource also includes an alphabetized section on HIPAA, current information on the reauthorized IDEA (Individuals with Disabilities Act), and expanded coverage of alternative dispute resolution and attorney-health professional-client relations. Scott, Ronald W. Health Law Attorney-Mediator, Private Practice, San Antonio, TX; Associate Professor, Rocky Mountain University of Health Professions, Provo, UT.